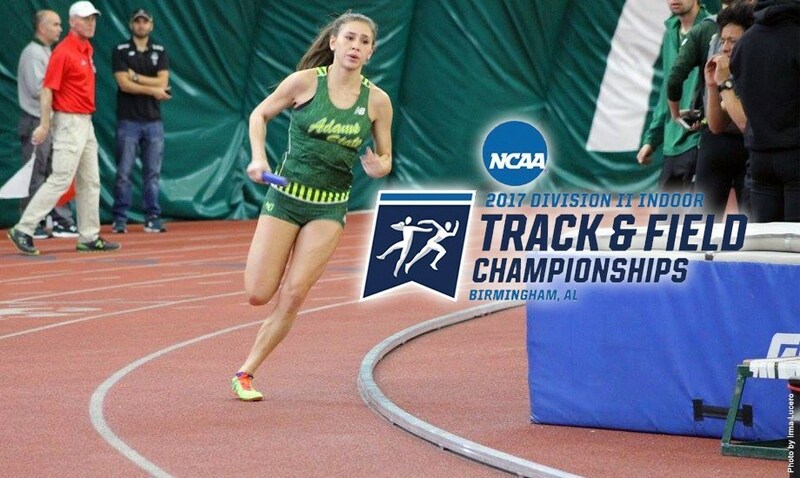 ALAMOSA, Colo. (March 1, 2017) – 22 individuals from Adams State University will showcase their talents at the 2017 Indoor Track & Field Championships on March 9-11 in Birmingham, Alabama. The second-ranked Adams State men total 14 individual entries with sophomore Sydney Gidabuday slated to compete in three events (5000m, 3000m, DMR). The group of Oliver Aitchison (Mile & DMR), Austin Anaya (Mile & DMR), Tom Gifford (800m & DMR), and Kyle Masterson (5000m & 3000m) will each compete in two events. The third-ranked Adams State women carry a field of 8 individual entries as junior Jenna Thurman (5000m, 3000m, & DMR) and senior Sunayna Wahi (60m, 200m, 4x400m relay) are entered in three events each. Leanne Allen (4x400m relay & DMR), Roisin Flanagan (Mile & DMR), Dianna Johnson (60m & 4x400m relay), and Jessica Scherrer (4x400m relay & DMR) are all slated to compete in two events. Both programs were last active on Feb. 24-25 at the RMAC Indoor Track & Field Championships in Spearfish, South Dakota, with each program claiming a team title. The championship meet will be held as part of the DII Festival at the CrossPlex in Birmingham. The indoor championships will be joined by the NCAA Division II National Championships for wrestling and men's and women's swimming. For any future updates on ASU track & field, stay connected with www.asugrizzlies.com.